With our monitoring software you'll be able to monitor and record the activities of all users on a computer unnoticed. So you're always informed what happened in your absence. Furthermore, we offer the opportunity to download and test the software without time limitation before buying. PC Agent is specially designed to send the records in several different ways. 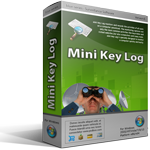 Mini Key Log is specially designed to monitor a computer quickly and easily. Android Spy is a monitoring software for mobile devices with operating system Android. PC Agent for Linux monitors and records the activities of all users on a Debian based Linux system unnoticed. The PC Agent Server allows you to receive the records directly on one of your systems. The Cloud-Service receives and stores the records, which are sent from the monitoring process of PC Agent.